Last night we celebrated our Christmas Eve because of our up coming travel plans. 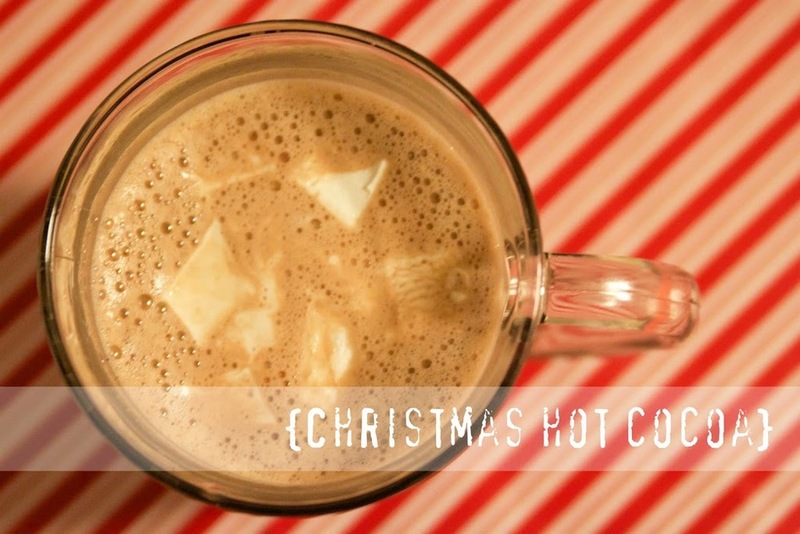 So I made some hot chocolate with marshmallows to drink while watching The Polar Express. The boys love hot chocolate and marshmallows, so I knew I couldn't go wrong with trying a new recipe. For the marshmallows, I used this recipe. I didn't realize that they needed to set for 12+ hours, so I didn't wait that long, and maybe they would have been a little bit more solid... but I think waiting 5 hours was just fine. For the cocoa, I used this recipe. I didn't add the cayenne pepper because I didn't think the boys would like it. I put 2 1/2 heaping tablespoons for every cup of hot cocoa. I have a hot cocoa machine, so it gave it a nice froth on top. Before I had the hot cocoa machine, I used to put my hot cocoa in the blender for just a few seconds to get some froth... because it just looks so delicious!